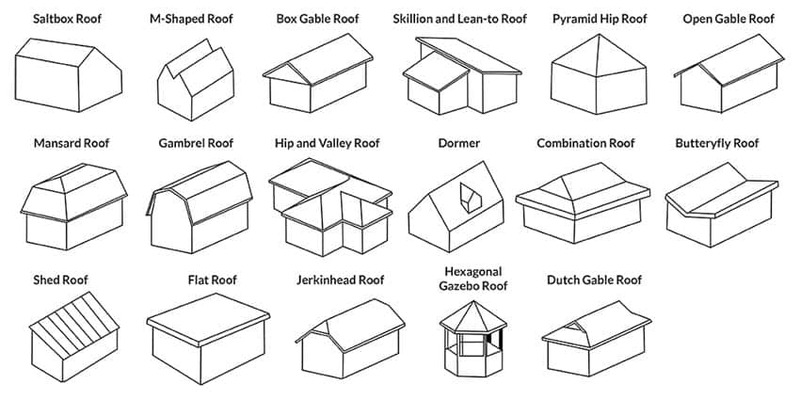 Welcome to our ultimate guide for roof types, most popular shapes and roofing materials. The term having a “roof over your head” symbolizes how important a roof is to a structure. This only proves that a house is not complete without a roof. Not only does it give additional visual aesthetics but it serves a lot of excellent functions as well. It gives us shelter and protection from the elements like rain, hot sun, and snow. A sturdy roof also keeps everything we have built in the house safe, dry and intact. An unplanned and unstable roof affects everything else in the structure and even our lifestyle – from potentially damaging our valuables because of leaks that cause water to damage house interiors, to costing us hundreds of dollars to repair such faulty roof design. It is important to choose the right type of roofing to ensure that your house can last for decades. The type, material and shape of a roof are all significant to building an effective and desirable home design. 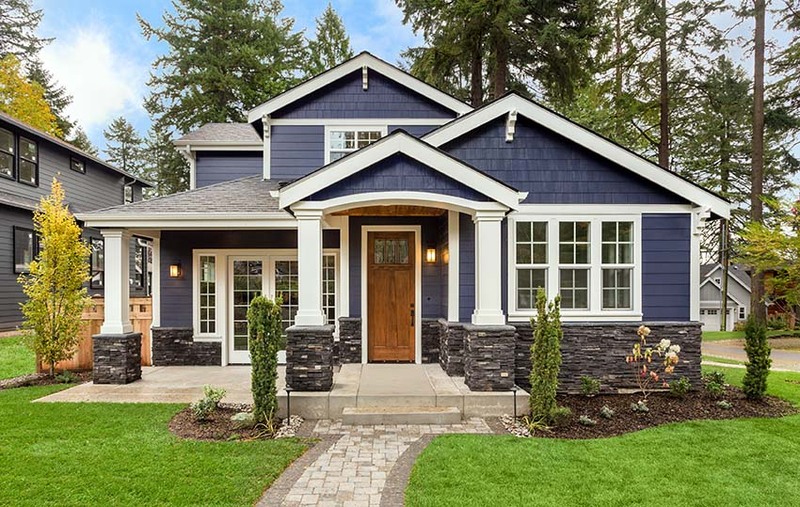 In order to boost your home’s value and update its look, it is essential to know some basic facts on roofing design and how it can affect your home. Below we give you our own version of your ultimate guide to roof designs to help you decide which one is the best for your home. There is a vast array of material options for roofing which are available in the market. And each material is subdivided into different categories, depending on their form and type of installation. Below, we help you explore the most common types of roofing materials which you can use to build your home, together with an overview of their positive and negative features. 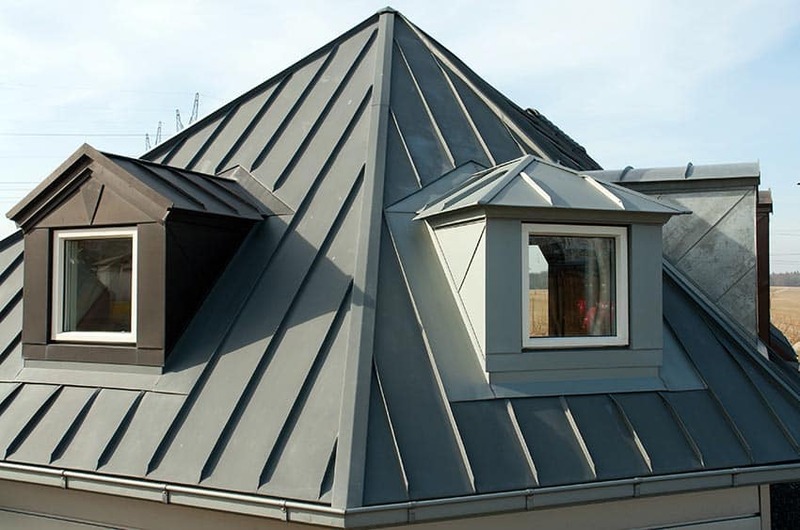 Metal is one of the most conventional roofing materials for both traditional and contemporary house styles. Metal roofing is considered as one of the most durable types of roofing materials – being able to withstand extreme weather conditions and resist harsh outdoor elements such as snow, rain, high winds and heat. Aside from that, metal roofing is not susceptible to molds, mildew, insects and rot. It is also more resilient compared to asphalt and wood roofing. As it is a noncombustible material, metal roofing is usually graded with a Class A fire resistance rating. However, this rating may change depending on the material underneath it (for example, a metal roofing applied above wood shingles is more like to infinite heat faster, thus it is graded with a Class C fire resistance rating). In addition to these numerous benefits, a metal roof also serves advantages in heat conduction. Metal can reflect heat from the sun, thus minimizing the buildup of heat in your house. Consequently, a low heat gain will result to savings in terms of air conditioning use. However, there are still a few drawbacks to metal roofing, one is that is is more expensive compared to other roofing materials, generally in par with the premium ones. 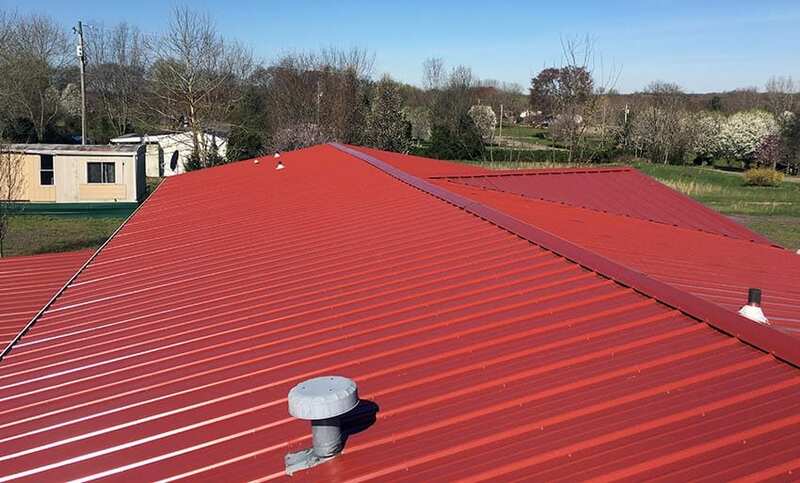 Expansion is also one of the major concerns in a metal roofing, as it has the tendency to expand or contract when subjected to cold or warm temperatures, usually causing a wavy effect. Replacement is also a bit of disadvantage if your metal roofing comes in large sizes because it requires the whole panel to be removed, instead of smaller sections. Homeowners and contractors alike prefer this type of roofing because it is lightweight compared to a tile roof. In terms of installation, it can be easily fixed in two to three days, depending on the size of the project. Maintenance wise, some of the finishes for metal roofing are prone to peeling, chipping or fading, so it may require additional treatment to prevent these damages. Also, it has the tendency to become dented when subjected to blunt forces like a large falling hailstone, so make sure to choose a type of metal that is not soft and more resistant to breakage. Metal Roof Cost: The average cost of a metal roofing is usually $150 to $300 per square foot, depending on the style. Some elaborate metal roof designs are more expensive and can cost around $600 to $800 per square. Lifespan: If properly installed, a metal roof rarely requires replacement over a long period of time, known to last for 40 to 75 years. Although varying widely, a metal roof is typically given by manufacturers a 20 to 50 year’s warranty, while its paint finish usually comes with a 30 year warranty. Asphalt shingles are considered to be the most widely used roofing material in the United States. 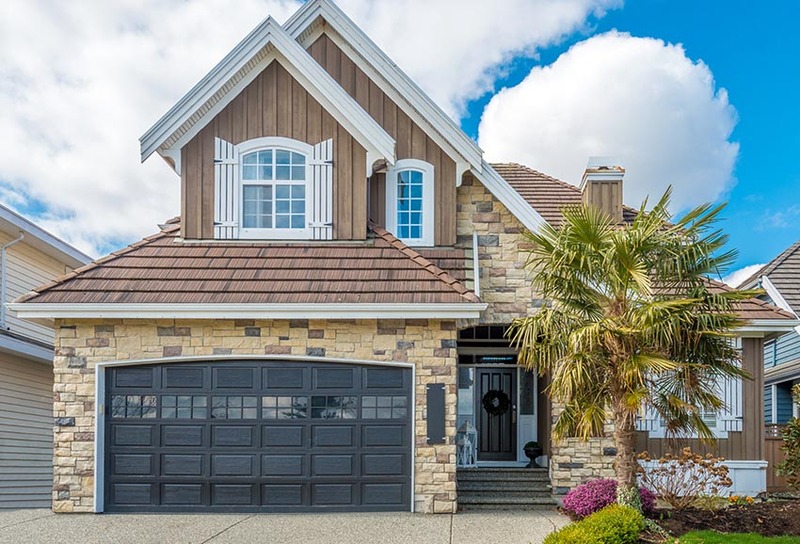 Commonly used for traditional suburban style house, this type of roofing material gained its popularity because it is cost effective and easy to install. Just like metal, Asphalt shingles are weather proof and can withstand high winds. It is also graded with a class A fire resistance rating, offering protection against fast spreading fire. Asphalt shingles also provide benefits in terms of acoustics as it blocks outside noise effectively. The primary advantage of asphalt shingles is its versatility. It comes in a wide variety of colors, textures, and thickness and can be used in different house types. With the broad spectrum of colors to choose from, mixing and matching of roofing color to the overall palette of your home is not a problem. It renders an aesthetically pleasing visual component to house exteriors and can be used to produce a variety of architectural design styles. Asphalt shingles are also easy to install. Compared to other roofing materials, it only requires simple skills and handling the material is also fairly easy because it is lightweight. Installation doesn’t also require any added support or any special tools, thus saving you costs on labor and installation. One of the negative aspects of using asphalt shingle roofing is that it has a shorter lifespan compared to other roofing materials. The quality of asphalt shingles also vary and it has the tendency to decay faster if the ventilation of your house has problems. It is also lacking in terms of insulation properties, as it doesn’t extreme temperature changes well. Asphalt shingles also require periodic maintenance to ensure its good appearance and quality. 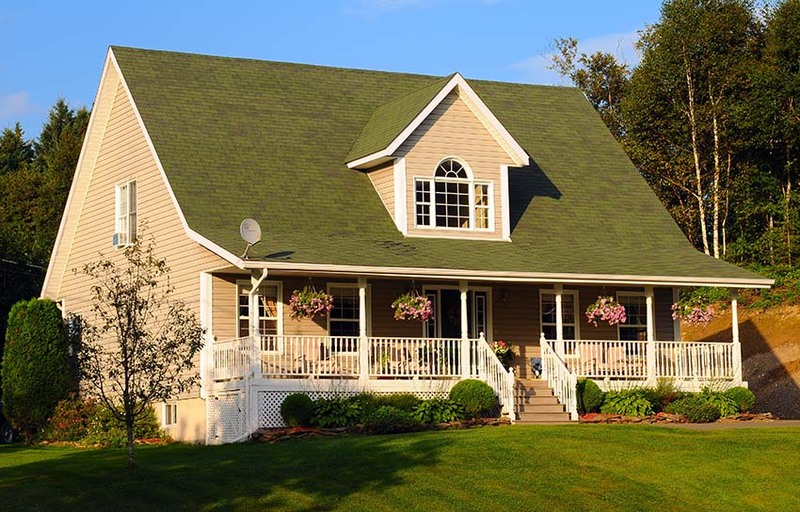 Asphalt shingles are available in two types, namely: organic and fiberglass. Organic asphalt shingles are made up of paper, coated by asphalt. On the other hand, Fiberglass asphalt shingles are reinforced with a base layer of fiber mat that is coated with asphalt. The asphalt coating for both types make the shingles waterproof. Generally, organic asphalt shingles are more durable than fiberglass asphalt shingles. But in terms of fire protection, fiberglass asphalt shingles are less flammable. Asphalt Shingle Cost: Asphalt shingles are considered to be the most affordable roofing material. Typically, a bundle costs $30, while the price per square foot can take as much as $70 to $120, averaging at $90. Contractors typically charge between $3.25 to $4.25 per square foot including the labor and materials. These prices may still vary depending on the type of shingle used. Asphalt Shingle Lifespan: If installed with care and properly maintained, asphalt shingles can last 20 to 25 years. Wood roofing is the most traditional type of roofing, however, nowadays it considered to be one of the most rare roof types. The reason for that is because compared to other materials, a wood roof is not as durable as asphalt shingles nor as easy to maintain as metal roofing. However, it is well loved by homeowners and designers because of its distinct natural beauty that cannot be matched by any other material. The appearance of a wood roof dramatically changes as it ages, turning into an attractive gray color upon weathering. Aside from that, a wooden roof gives benefits in terms of providing natural insulation. Compared to asphalt shingles, wooden shingles offer twice insulation and can conserve heating and cooling. Also, a roof that is made up of the right species of wood is guaranteed to last long, provided that it is also properly maintained and correctly installed. The drawbacks of having a wood roof is that unlike other roofing materials, it is prone to rot, decay and termites. Maintenance is also another primary concern, as wooden roofs require regular upkeep to prevent molds, mildews and moss from growing. However, this can be prevented by using treatments such as termite proofing, preservatives and sealers. Wood roofing usually comes in two forms, namely shingles and shake. Wood shingles have smooth edges and are cut to uniform thickness. They are thin and flat, compared to wood shakes which are rougher and thicker as it is split from a log. Also, another difference is that wood shakes are usually handmade while wood shingles are machine cut. Wood Shingle Roof Cost: A wood roof costs relatively higher than other roofing materials, specifically Cedar shingles. In terms of labor and installation, a wooden roof also costs more. However, its high price proves to be a cost effective investment. Generally, a wood roof costs around $350 to $450 per square foot. Wood Roof Lifespan: A properly installed and maintained wood roof lasts 25 to 50 years. Clay and concrete roof tiles are usually flat or ribbed and they come in rich reddish hues, earth colors and terra cotta color. They add warmth and texture to a house’s exterior. Aside from adding beauty to your roof, clay and concrete tiles are also noncombustible, extremely durable and versatile. Clay and concrete roofing are popularly used for Mediterranean, Spanish, Tuscan and Southwestern inspired homes. When it comes to installation, genuine clay tiles and concrete tiles are quite heavy and may require the services of a professional. Due to its heavy weight, clay and concrete tiles also require an additional framing system for support. Proper handling is also required as clay and concrete tiles have the tendency to crack, chip or break if not given care. 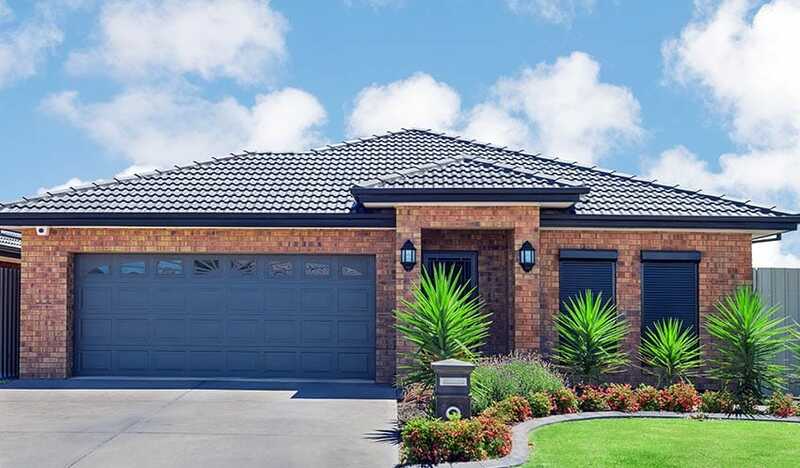 Concrete & Clay Tile Roof Cost: Concrete tiles are less expensive than clay tiles, however they are generally considered as one of the pricey roofing materials in the market. Typically, concrete tiles cost around $300 to $500 per square foot, while clay tiles cost $800 to $1000 per square foot. 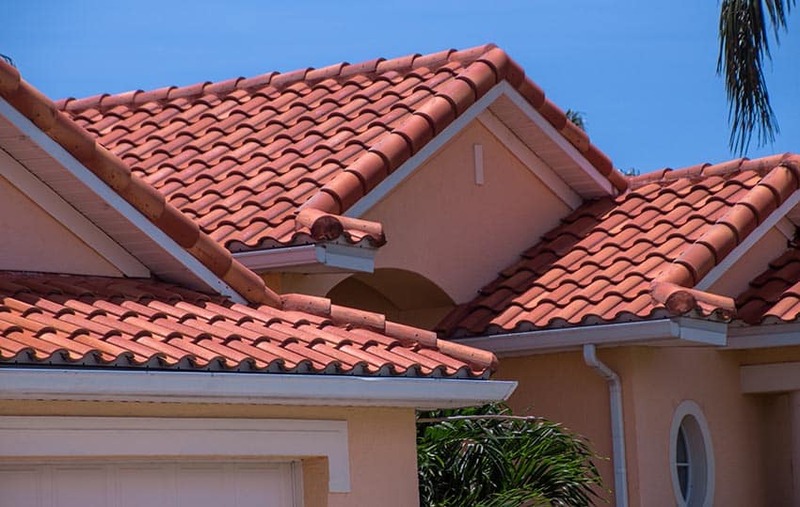 Concrete & Clay Tile Roof Lifespan: Clay and concrete tiles are long lasting and usually have a lifespan of 40 to 50 years. Although some say that clay roof tiles are proven to last for over a hundred years because of their durability. 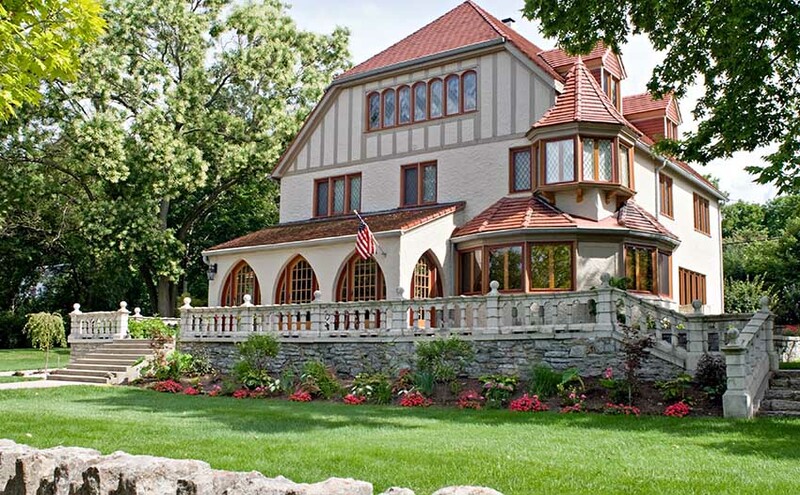 Slate shingles are prized for their durability. In fact, they make all other roofing materials inferior to its high quality and strength. Since it is made up of real natural stone, it can withstand harsh outdoor elements and extreme hot and cold weather. Homeowners also prefer this roofing material because it is sustainable and can be recycled for other uses. Just like clay and concrete tiles, slate roofing is also noncombustible. Its major drawback is its high cost, as slate is considered to be one the premium roofing materials in the industry. Installation wise, a slate roof is typically laid down on a roof frame. Due to its heavy weight, it requires an additional support with adequate truss strength to make sure that the extra load is carried well. Maintenance is also crucial to ensure the beauty and efficiency of slate roof tiles. This involves replacing broken slate tiles and worn out flashing. Also, proper installation will help prolong its lifespan. Slate Shingle Roof Cost: A slate roof tile is one of the most expensive roofing materials, costing around $1100 to $2000 per square foot. 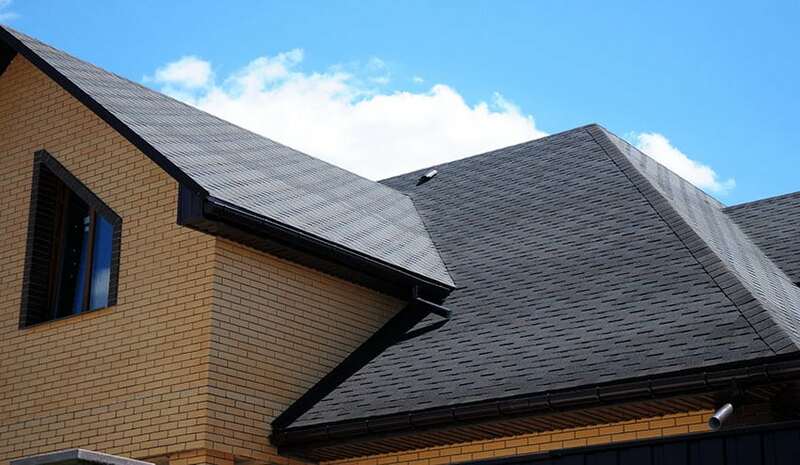 Slate Shingle Roof Lifespan: The lifespan of slate tile roofs can last up from 75 years to over 100 years as it is evident from old houses which still exist up to this day. Synthetic roofing are modern alternatives to conventional and traditional roofing materials. This includes rubber, polymer and plastics. These roofing have the benefits of modern materials but simulate the appearance, color and texture of natural materials like wood and stone. One of the advantages of using rubber, polymer or plastic roofing is they are lightweight yet durable. It is also easy to maintain, eliminating the need for periodic treatments and other regular upkeep. Compared to natural stone tiles like clay or concrete which have the tendency to chip or break, these materials are not fragile. It also comes in a wide variety of colors and styles, making it suitable for any architectural style and house type. Synthetic Roof Cost: Cost wise, synthetic roofing is generally affordable and less expensive compared to natural roofing materials. The price of synthetic roofing usually averages $300 to $650 per square foot. Synthetic Roof Lifespan: Synthetic roofing usually comes with a 50 year warranty from suppliers. By definition, an asphalt rolled roofing or membranes is type of roofing material that is “based on the same materials for asphalt shingles, but it is made with an Organic felt or fiberglass mat”. This mat is overlapped by two layers that are saturated with asphalt and faced with granular aggregates. Contractors choose to go with this type of material primarily because of the existing shape or the slope of the roof. It is specifically designed for roofs which have no slope or low pitched and works well in creating a waterproof exterior. It is easy to install, typically secured with galvanized roof nails, although some types come with a peelable adhesive backing. Rolled roofing can block off water build up thus preventing damage to your home’s interior. It allows water to overflow properly, provided that is installed the right way, preventing leakage in the roof. This type of roofing material also requires gutters, run offs and eaves on all corners to direct the water flow away from the roof. If your primary goal is to achieve beauty for your house’s exterior, then this isn’t the right roofing material for you. Rolled roofing does not do much when it comes to aesthetics. 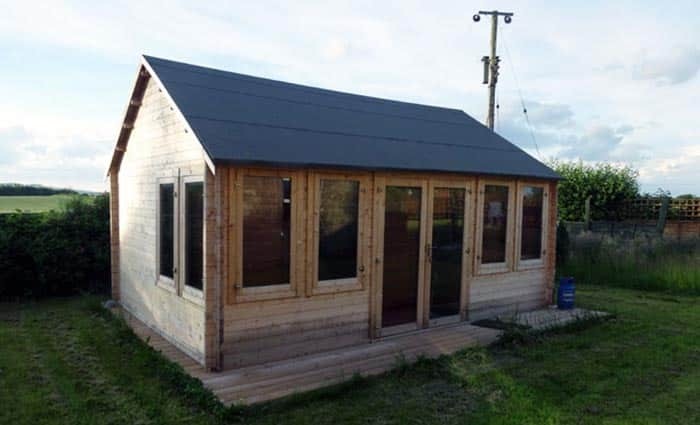 It is not really recommended for houses, rather it is more suited for secondary structures like a shed, a workshop, a garage or home extension. The basic colors for rolled roofing are gray, white, brown and black. These neutrals go well with most house sidings and existing roofs. Rolled roofing comes in rolls which can cover up to 100 square feet. Its typical width is 3 feet. Rolled Roofing Cost: Typically, rolled roofing costs anywhere from $30 to $100 per roll. This cost varies depending on the amount of material used and the labor costs incurred in the project. You may either hire a professional contractor to do this for you or you can take it as an easy weekend project. Rolled Roofing Lifespan: Rolled roofing has the lowest lifespan among all roofing materials. It will last for about 5 to 10 years. 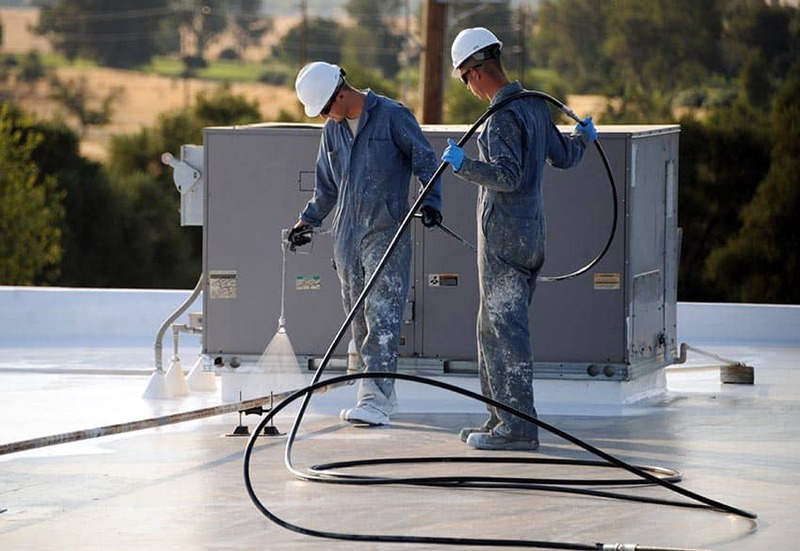 Spray on roofing is a type of liquid based roofing membrane that is applied directly to a roof deck. It is the only type of roofing that has no seams. The advantages of using this type of roofing is that it offers good insulation properties. Also, it does not wear out easily and help you save energy by cooling off your house when hot. Spray on roofs come in two different types, namely spray foam insulation and roof coatings. Spray foam insulation is a type of roofing that is directly sprayed onto the roof deck, then coated with an acrylic coating and a layer of crushed stones or sand. As it name suggests this type of roofing offers insulation by reducing heat and cooling energy loads. Roof coatings, on the other hand, are specifically manufactured for existing roofs. This is designed to prolong their life and extend it for 10 to 15 years. Roof coatings are typically applied on top of existing singes membrane roofs or low slope metal roofing. Spray On Roof Cost: On the average, the cost of spray on roofing is $1.65 to $2.25 per square foot. Spray On Roof Lifespan: The lifespan of a spray on roofing can last as long as the building, provided that the upper layer is maintained well. It also comes with a 15 year leak proof warranty from suppliers. Roof tiles are one of the most popular roofing materials. 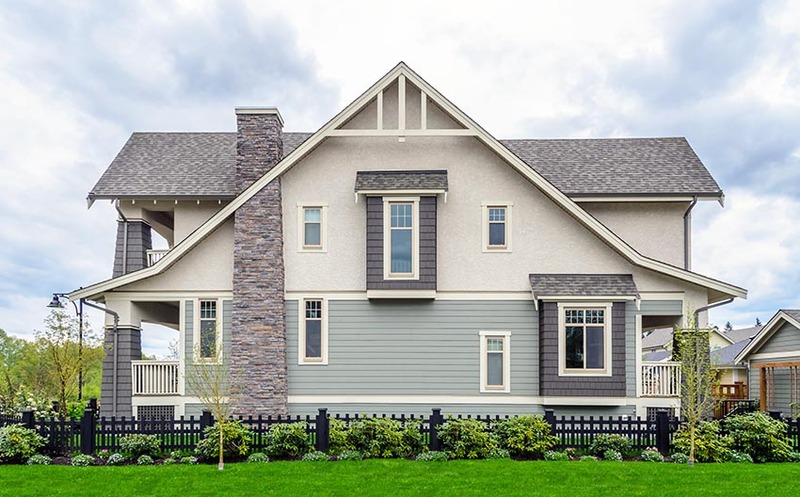 Combining aesthetics and functionality, this roofing material does not only enhance the curb appeal of your house but it offers practical benefits as well. When deciding for the right type of roof tile for your home, several factors must be taken into consideration. First, determine the existing weather conditions at the location of your house as climate affects your roofing significantly. Next, consider the structure, make, style and design of your house. A well designed roofing contributes to the overall appeal of any home. Then lastly, know your working budget as roofing materials can cause a hefty amount in terms of materials and labor costs. Metal Roof Tiles – Metal tiles are known for their durability and resilience to different weather elements. They adapt well to changes in temperature and are proven to last long. Ceramic Roof Tiles – Ceramic roof tiles are made up of a mixture of different variants of clay which are subjected to heat processing. Heating the ceramic tiles aids in achieving a uniform density and even color distribution. Finishes for ceramic roof tiles include glazing or color coating. The most common colors for ceramic roof tiles that are available in the market are white, gray, green, blue, yellow, red and orange. With these myriad of colors, mixing and matching is the least of your worries. One thing that is remarkable about ceramic roof tiles is that it can withstand extreme temperature changes. They do not get damaged even when they are exposed to the sun, rain or frost. Ceramic roof tiles also have good insulation properties, meaning they can block off heat well and aside from that, they also have effective acoustics which prevents outside noise from entering your home. In addition to that ceramic roof tiles are noncombustible. The drawbacks of using ceramic roof tiles is its heavy weight. Because of this, it requires professional services in terms of installation and needs an additional support to bear the added load. Ceramic roof tiles come in three different types namely: flat tiles, grooved tiles and undulating tiles. Ceramic tiles are the perfect match for stone, brick or wooden structures. They give off an old world feel which makes them highly suitable for historic houses. Concrete Tiles – Concrete tiles are made up of cement, sand and water. Its looks resemble that of a classic natural clay tile, with colors ranging from shades of brown, reds, oranges and grays. The process of making this type of roof tile includes mixing amount of cement, sand and water, then molding it into a tile shaped form. Color is then added using iron oxide. The tiles are then placed in a special chamber to dry, during the mornings, for a certain period of time. This process is repeated until they are kept to mature for about a month. Concrete tiles are highly durable and resistant to weather elements. Just like any other natural stone roof tile, it offers acoustical and thermal insulation benefits. Bituminous Tiles – Also known as flexible tiles, bituminous roof tiles are made up of fiberglass tissues or a type of canvas that is cellulose and bitumen based. To provide strength and make the roof tiles more durable, additives are introduced to this bitumen mixture, while the tile surface is covered with granite or basalt chippings. The chippings serve as the protective layer, and at the same time, reinforces the strength of the tile. It also gives bitumen roof tiles their distinct appearance. Overall, the properties of bitumen roof tiles are similar to plastic or rubber. This type of roof tile is known for its ductility and for being low maintenance. Bitumen roof tiles are commonly used for flat roofs and low pitched roofs which have an inclination of >12 degrees. In terms of installation, it is attached to a roofing system using tile adhesive and does not require any additional screws to keep it in place. Regarding the lifespan, suppliers usually guarantee bitumen roof tiles to last up to 20 years provided that they are properly installed by a licensed roofing contractor. Polymer Sand Tiles – Polymer sand tiles are made up of 70% high quality sand and a polymer based binder. The production process includes washing off sand to remove all impurities, then incorporating 29% of polymer and 1% dye. It is two times lighter than traditional roof tiles and is relatively cheaper and easier to install. Its advantages include weather resistance and good insulation properties. Polymer sand tiles are also highly resistant to fungi growth and can withstand acid rains. In terms of lifespan, polymer sand tiles are now to last for 50 to 100 years and it typically comes with a 15 year warranty from the supplier. One of the disadvantages of using polymer sand roof tiles is that its color sometimes has the tendency to wear off fast since not all dyes which are used to manufacture it are reliable and resistant to fading. Copper Tile – Copper roof tiles are known for aging gracefully – as it produces a beautiful patina when it oxidizes and gets weathered. A copper tile roof’s general appearance changes from a bronze color to a greenish hue, bringing distinct elegance and sophistication to houses. Aside from visual aesthetics, it is also prized for its strength and durability. It can also withstand high winds and is earthquake resistant. Due to its high resilience, copper tile roofs are proven to last long, with a lifespan of 100 years. Copper roof tiles also come in a manageable size which makes installation easy even for complex roof structures. It can be used for any house style and even for houses which are near a body of salt water because it will not corrode easily. This type of roof tile is also noncombustible and are practically free of maintenance. It is also 100 percent recyclable and is considered to be an environmentally safe roofing product. However, there are still a number of drawbacks in using this type of roofing material. Although made of metal, copper roof tiles are soft and has the tendency to crumple, thus requiring extreme care in terms of handling and proper installation. Also, its price can be a concern for most homeowners as it is generally expensive compared to other materials. But its high price proves to be a cost effective investment. Clay Tiles – Clay is one of the traditional materials used for roof tiles. It is made of clay that is collected from different reserves, then subjected to extremely high temperatures by baking in kilns. Just like any natural roofing material, clay roof tiles are strong and durable, but they are most prized for their looks. Clay roof tiles add warmth to the exterior of house and are versatile in terms of design. Although this is commonly used for Mediterranean inspired, Tuscan styles and Spanish houses, clay roof tiles can be incorporated in different housing styles. It comes in a wide array of shapes and sizes while its traditional terra cotta color does not fade and stays vibrant for years. 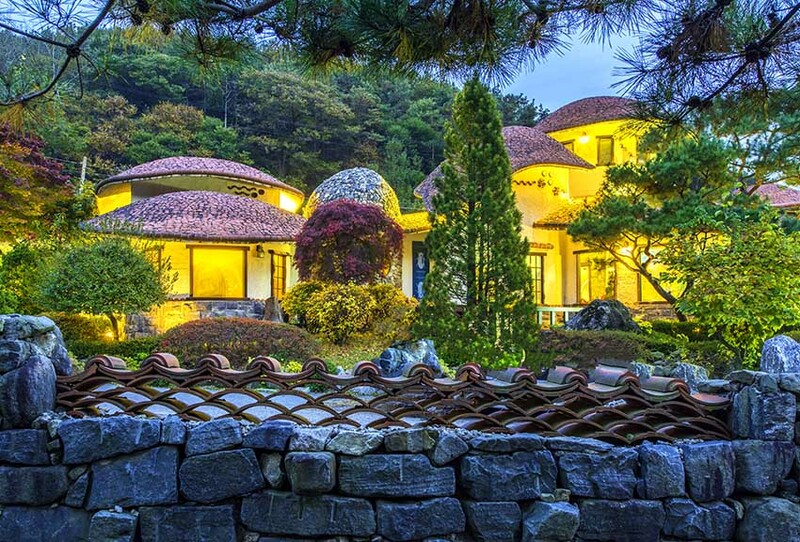 In addition to their natural aesthetics, clay roof tiles comes with a lot of benefits. It can improve air circulation within the house and helps in diffusing heat and insulation during hot summer days. Also, clay roof tiles can keep up with harsh outdoor elements like rain or snow. It is also fire resistant. Composite Tile – Composite tile or synthetic roof tiles are an innovation in the roofing industry. Made of a special kind of metal which has multilayers of zinc and aluminum which comes in 0.5 millimeter thick sheets. This is then covered in an acrylic polymer coating and stone chippings to prevent it from corroding. Its finish resembles that of a natural wood or stone roof tile which makes it highly preferred by homeowners and contractors. 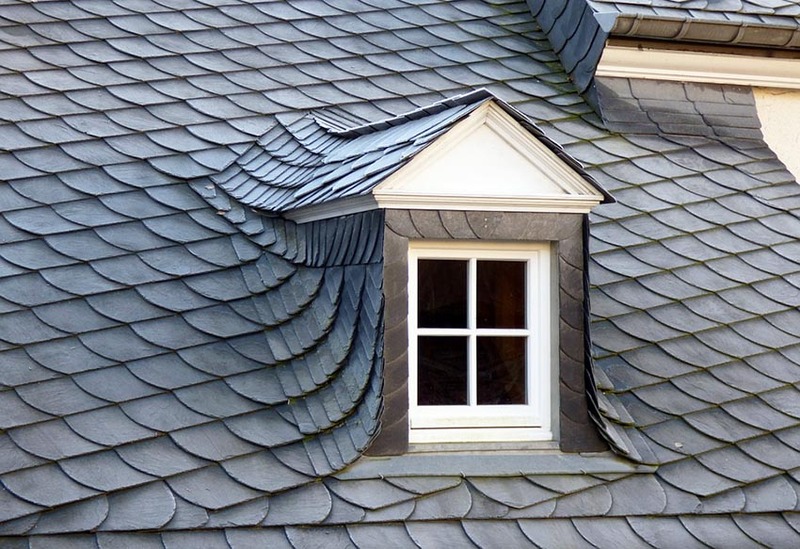 Visually, they are indistinguishable from real slate and wood, but their physical properties and chemical components are that of a modern roofing material. Composite roof tiles are also noncombustible and they comes with a Class A fire rating. Aside from that, they are known for being weather resistant and stain resistant. They have a minimum lifespan of 50 years too, which makes it cost worth every penny. 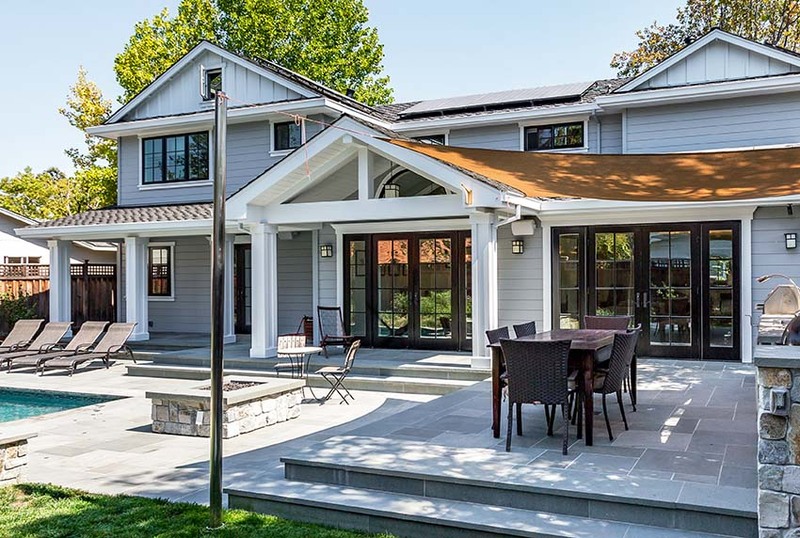 Composite tiles with standard grading usually cost $400 per square foot – that is at least four times the cost of a traditional asphalt shingle or roof tile. Installation wise, composite tiles are also easier to fix in compared to natural slate or cedar tiles. Other manufactures produce composite roof tiles which are made of polypropylene and calcium carbonate. This material is lightweight and have more improved qualities. This is also cheaper, easy to install and are usually backed with a 50 year warranty from suppliers. Other alternative materials for a composite roofing tile are polymer based. A flat roof is a roof that has very little to no pitch. The slope of flat roofs are approximately 10 degrees. This type of roofing is prevalent in modern homes or for houses which require added rooftop space. This is also used for secondary structures like porches, balconies, garage and sheds in traditional homes. In terms of performance, flat roofs do not provide the same protection that a sloped roof offers. Sloped roofs can shed snow and rain quicker. However, over the years, technology has addressed this problem as durable roofing membranes are developed to make them at par with conventional sloped roofs. There are three general types of materials for flat roofs namely: built up roof, modified bitumen roof and single membrane roofing. Built Up Roof (BUR) – Built Up roofs are considered to be the “grandfather of flat roofs” as it dates back to an origin of 120 years ago. It is mainly composed of hot tar and gravel or asphalt that is applied in several layers. Three or more piles of waterproof material, such as felt, is alternated with hot tar and asphalt. When the layers of hot applied asphalt and tar blends with the bitumen, a roof membrane is formed. It is then balanced with a layer of river stones or crushed stone granules to protect it from harsh outdoor elements. Basically it is composed of overlapping layers of roof felt and asphalt tar. Other more advanced options make use of fiberglass membranes. The advantages of using built up roofing is that it is noncombustible. It is only one the cheapest flat roof materials available in the industry. It is also the perfect alternative to asphalt shingles for structures with low pitched roofs. Built up roofing materials are also heavy, thus they require an additional support system. Roof joists need to be strengthened to ensure that the extra load is supported. Also, they are hard to install and quite strong smelling. It is not recommended to be a DIY project but instead it requires professional installation services. Modified Bitumen Roof – Modified bitumen roofing is an alternative for BUR or built up roofing. It is an asphalt based product which is specifically designed for structures with low pitched roofs. Asphalt makes modified bitumen roofing more pliable and easy to apply. The components of modified bitumen roofing is similar to BUR, however it uses an extra layer of polymer reinforced cap sheets. The added polymer provides more elasticity and improves its performance in low temperatures. There are several ways to install modified bitumen roofing. These methods are hot applied, cold applied, torch applied and self-adhered. Hot applied makes use of hot asphalt, while cold applied makes use of cold process adhesives. Torch applied, on the other hand, makes use of heat welding. Modified bitumen roofing offers a lot of benefits. It is very durable and is suitable for high traffic roofs. It is also highly waterproof and can withstand sudden changes in temperature. Aside from that, modified bitumen roofing are reflective and provide good insulating properties. Single Layer Membrane Roof – Often used for commercial construction, the membrane roof is one of the latest developments in roofing technology. It is also called elastomeric or plastomeric roof membranes, depending on the material used. These are single-ply roofs that come in varieties such as: rubber membrane, neoprene, EPDM, PVC, chlorinated polyethylene, polymer, TPO or spray on coating. Single ply roofing is a flat, single sheet of synthetic polymer based roofing that is mainly used for waterproofing. It is fixed onto flat roofs or pitched roofs using heat or adhesive by mechanical means. Single membrane layer roofing are usually sold in rolls, typically costing $3.50 to $3.50 per square foot including both materials and labor. There are a number of benefits to using single layer membrane roofs. First, it is proven to last for more than 50 years because of its durability. It is also affordable and is considered to be a good alternative to metal roofing. Single layer membrane roofing is also easy and quick to install, thus incurring very little costs in terms of labor. Aside from that, it can be repaired easily and modified without any hassle. Among the numerous materials which are used for single membrane layer roofing, there are five most common types which are widely available in the market. This include PVC (polyvinyl chloride), TPO (thermoplastic polyolefin), TPE (thermoplastic polyolefin elastomer), PIB (poly iso butylene) and EPDM (ethylene propylene diene monomer). • PVC roofing membrane or Polyvinyl Chloride flat roof – PVC is the most popular material for single membrane layer roofing. It gained its popularity because of its flexibility and versatility. PVC membrane roofing is available in a wide range of colors and can be used for any type of house. It is also easy to install – typically welded using heat to attach joints together. This makes sure that the seams of the roofing membrane does not have leaks and will not get blown off by the wind. An insulation board is also placed underneath it to assist in reducing heat. However, this substrate sometimes causes a major drawback, if the roof deck is poorly ventilated, the adhesive holding the PVC roofing membrane in place can eventually get loose and may become susceptible to being out of place in the event of a strong wind. • TPO or Thermoplastic Poly Olefin flat roof – TPO is commonly used for engineering purposes, this type of material is found mostly in ponds or tunnels. Compared to PVC, TPO is more environmentally friendly because it can be recycled for other uses. However, unlike PVC which comes in a broad spectrum of colors, TPO only comes in limited shades of grays. Thus, its application is also limited because of the lack of option. One disadvantage for TPO roofing is its maintenance requirements. This type of material is hard to clean – usually requiring a certain type of solvent as a cleaning agent. Also before welding, TPO must be thoroughly cleaned first, or else it wouldn’t stick together. • TPE or Thermoplastic Polyolefin Elastomer flat roof – TPE is a more improved version of TPO roofing. 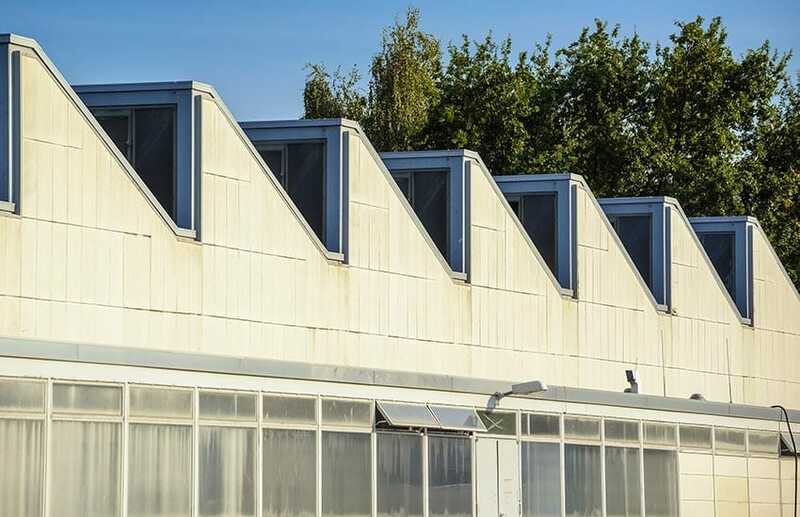 For this type of material, the disadvantages of TPO are eliminated – unlike TPE roofing,TPO can be welded even without having the need to thoroughly clean it first. It is also easier and faster to install. TPE is also easy to maintain and can be repaired easily. Unlike TPO or PV which needs patching, small holes or punctures in TPE roofing may be resealed by subjecting it to heat. • PIB or Poly lso Butylene roofing membrane– If PVC is the most popular single membrane roofing material, PIB is known as the oldest single membrane roofing. PIB is made from the polymer Oppanol, a substance found in chewing gums. It is a flexible membrane that has ultraviolet resistance properties. It also comes with a self-sealing edge, making installation easier and faster compared to other single membrane roofing materials. PIB is available in gray and in a copper paint finish. It is prized for its high durability that allows it to last more than 50 years. Even under the toughest conditions, a PVC roof can withstand constant changes in weather and resists chemical exposure. Its seams also provide excellent waterproofing to roofs. This type of roofing membrane is typically found in commercial roofs which have high traffic or those which have rooftop equipment. However, this is also used for residential projects. As with any roofing material, the longevity of the lifespan of PV roofs can be optimized if they are properly installed and maintained. • EPDM or Ethylene Propylene Diene Terpolymer roofing membrane– EPDM is a type of single ply membrane roofing that is consisted of synthetic rubber which makes it flexible. The main composition of EPDM roofing is primary ethylene and propylene. EPDM roofing is commonly available in black or white color and is sold in a variety of widths which range from 7 ½ feet to 50 feet. Typical thickness are 45 mils and 60 mils. This is attached to the structure by mechanical installation, full adhesion or ballasted. The seams are sealed using a type of liquid adhesive or a special tape. Installation is easy so that means replacement is also easy. This type of roofing is also proven to last long because it has been in the industry for over 40 years. It can resist hail storms and can keep up with exposure to harsh outdoor elements, extreme hot or cold and high winds. EPDM roofing membrane also does not weather and can resist ozone and ultraviolet radiation. In addition to that, it has high tolerance to fire. EPDM is also designed to be a commercial roofing product and is not commonly used for residential projects. Typically, metal roofing materials come in multiple shingle sections or in 12 to 36 inch panels. 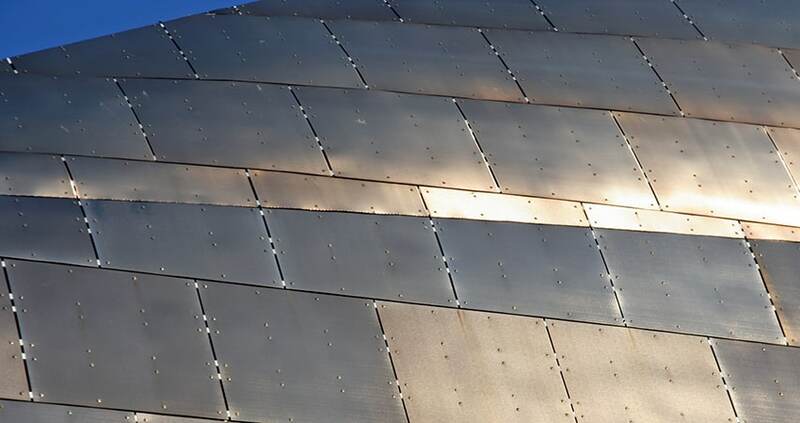 The most common types of metal used for roofing are stainless steel, galvanized steel, zinc, tin, aluminum and copper. Here are some of the most popular metal roofing materials, classified according to their types. Steel Roof (Galvanized) – Steel is the most commonly used type of metal for roofing. It is known for its durability and ability to adapt to constant weather changes. Compared to aluminum, steel roofing is heavier and sturdier. Typically, steel roofing is coated in several finishes which protects it from corrosion and rust. Such finish includes zinc coating, epoxy primer and acrylic top coat. Zinc coating seals the metal and prevents it from corroding. Epoxy primer, on the other hand, provides adhesion, while the addition of an acrylic top coat gives steel different colors. For commercial roofing, which requires more strength, highly durable paint finishes are used. Example of which is a fluorocarbon coating called Kynar. Steel also comes in a galvanized form. Galvanized steel is produced by giving metal a layer of zinc to prevent it from rusting. The manufacturing process of galvanized steel starts with a metal that has a layer of iron and carbon alloy steel. It is then dipped into a hot zinc bath to give it an even protective coating. Compared to other types of metal, galvanized steel will never rust, no matter how frequent it is exposed to harsh weather elements. However, there are still a few disadvantages to using galvanized steel roofing. One is that, due to its weight, it is a bit more challenging to install compared to traditional materials. Aside from that, it requires professional services in terms of installation as it can get a bit heavy. Also, its cost proves to be an issue to some homeowners as it can get a bit pricey. Although galvanized steel is more expensive than shingle roofs, it is still considered to be affordable, costing around $3 to $18 per square foot. Galvanized steel roofing usually lasts for 50 years or longer, provided that it is properly maintained. In addition to lasting long, it is weather resistant and highly suitable for houses in hail prone locations. It is also flexible – offering a lot of design options to choose from. It can be used for most architectural styles whether it may be traditional or modern. However, it is not recommended for use in beach house or in coastal locations because corrosion. Some other types of steel roofing are Galvalume steel and Weathering Steel. Galvalume steel roofing is similar to galvanized, but instead of using purely zinc as a coating, it makes use of a mixture of aluminum and zinc. The addition of aluminum makes steel makes it more resistant to corrosion, and at the same time gives it a uniform appearance. It provides better surface protection than galvanized steel but is more prone to getting scratched. Weathering steel, on the other hand, was originally designed for heavier types of construction application. To protect the inner layer of the steel, the outer layer is intentionally designed to rust. This takes a long period to process. It is not meant to be used for structural purposes but more of a decorative element for structures, such as accent roofs. Aluminum Roof – Among the other type of metal roofing, aluminum is considered to be one of the more expensive options. 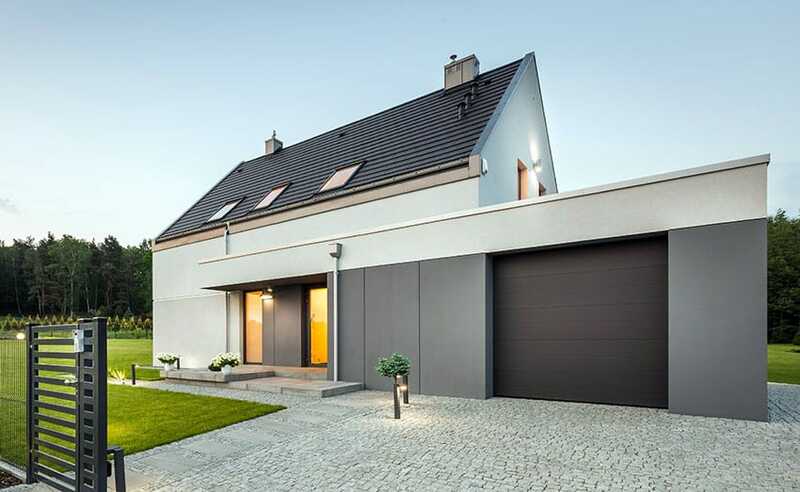 It costs higher than steel because it has high corrosion resistance, which makes it highly applicable for houses which can be found in coastal areas. Compared to other metals used for roofing, an aluminum roof has a “high strength to weight ratio”, meaning it may be the lightest but it is one of the strongest — the same reason why it is often used for industrial applications. Aside from that it has excellent insulation properties as it does not store heat easily and cools quickly when exposed to direct sunlight. Aluminum is typically coated in paint because its natural appearance is not that attractive. This makes it also flexible in terms of design because of the wide colors choice that one can explore. This colors are also long lasting and works well in enhances curb appeal. It is also easy to work with and can be installed by most contractors quickly. Handling of the material is also not a problem because it is light weight. Aluminum roofing is also one of the most progressive trends in the building construction scene. It is proven to last for 50 or more years, given that it is installed and cared for properly. It is also fire resistant and can adapt well to changes in weather. Aside from that, aluminum roofing is not susceptible to molds. Insulation is also an added benefit as it works well in keeping houses cool during the hot season. Tin Roof – For a while, tin was popularly used for roofing because it is corrosion resistant. This was usually plated onto steel to make it more resistant to rusting and harsh weather elements. Nowadays, tin roofing has been replaced with zinc to serve as protective coatings for metal roofs. This type of roofing reached its peak during the early 20th century. Nowadays, a tin roof also does not refer to a roofing that is entirely made from 100% tin. Similar to a steel roof, tin roofs are usually made up of a mixture of soft metals that is coated with a protective layer to reinforce its strength. Typically, the composition of a tin roof is made of steel that is coated with “terne plate” or “terne” – a combination of other metals such as tin, zinc and lead. Tin metal roofs are known for their high wind resistance. Compared to other roof materials, a tin roof can provide protection from extreme heat and cold, being able to withstand most weather elements. Just like most metal roofs, this performs well in insulation – preventing heat from building up in the house under the hot sun. It reduces the peak everyday temperature and keeps the house cooler. Tin metal roofs are also environmentally sustainable. Cost wise, a tin roof is considered to be more affordable compared to other metal roofing materials. In terms of lifespan, it lasts longer that an aluminum or galvanized steel roofing, provided that it is well maintained and properly installed. A tin roof which has a coating of terne can last up to 90 years. Copper Metal Roofing – Copper metal roofing comes in different forms, namely sheets, shingles and tiles. It is considered to be a premium metal roofing material, because it generally costs more than other metals, and at the same time, it looks far better too. One of the major positive attributes of a copper roofing is its exceptional beauty. In terms of looks, copper roofs have an elegant and distinct appeal that can greatly increase your home’s visual aesthetics. It has a captivating character that changes throughout the years. As copper ages, it takes on different colors which start off from a beautiful bronze, orange brown color to varying shades of gray and lastly greenish blue hue. This genuinely unique weathered look comes from the formation of patina – a greenish or brown film that develops in metals due to oxidation. Its remarkable quality, durability and longevity are also some of its notable characteristics. Tin roofs are known to last long and is considered to be a permanent type of roofing. It is proven to stay intact even if some of the other parts of the house are replaced. They have a lifespan of almost a hundred years – backed up by old architectural structures which were built in ancient Europe and have prevailed all through centuries of history. This ensures that your investment in a copper roofing will be worth it as your house will not lose its value over time. Copper roofing can also keep the house safe from harsh weather. It is highly suitable even for houses which are exposed to high winds, frost or snow storms. It keeps the water protected from leaks in the event of heavy rains. Aside from that, it is also fire resistant. Since it is also lightweight, there is little stress on the support of your home, consequently resulting to reduced material and labor costs. Although it is less heavy than other metal roofing materials, a copper roof will not collapse easily even when subjected to massive loads like a heavy snowfall. It is also maintenance free, won’t rust and corrode and does not require any finishing or coating. Regular upkeep does not include repainting too. Although it is considered to be very expensive, it is proven to be a wise investment because you get more than what you pay for in the long run. Stainless Steel – Stainless steel is a form of metal that is composed of iron, 10.5 percent chromium, 1.2 percent carbon and other alloys. The presence of chromium makes stainless steel corrosion resistant. As it oxidizes, a protective layer is formed in the surface. This is known as the passive layer”, a self-healing layer that stays intact even when exposed to moisture and humidity. The advantages of stainless steel roofing include durability, good aesthetic quality, economic performance, recyclability and easy installation. Since stainless steel is corrosion resistant, it can last for years even after being subjected to changes in weather and exposure to extreme elements. It will not get brittle even in the cold weather and has high strength. Stainless steel is also environment friendly as it can be recycled and fulfills the requirements of sustainable construction. In terms of design, as stainless steel roofing can suit any house type and any architectural style, regardless of the shape of the roof. It can be mixed easily with other construction materials such as wood or glass. Installation wise, stainless steel roofing is easy to install, as it can be soldered easily. It can also last for decades, specifically 20 to 50 years depending on the grade of materials used. Also the longevity of its lifespan is also enhanced with proper installation and maintenance. Cost wise, a stainless steel roofing is more expensive compared to other types of metal. It typically costs $9 to $12 per square foot for the panel type and has an average amount of $900 to $1200 per project when installed. Metal Shingles – Metal shingles are the perfect choice for homeowners who want a look that is between modern and traditional. Metal shingle roofing go particularly well with brick houses and classic colonial houses. They usually simulate the appearance of cedar shingles and natural slate roofing. Generally, metal shingles have the aesthetics of traditional roof shingles but offers the benefits of a metal roof. 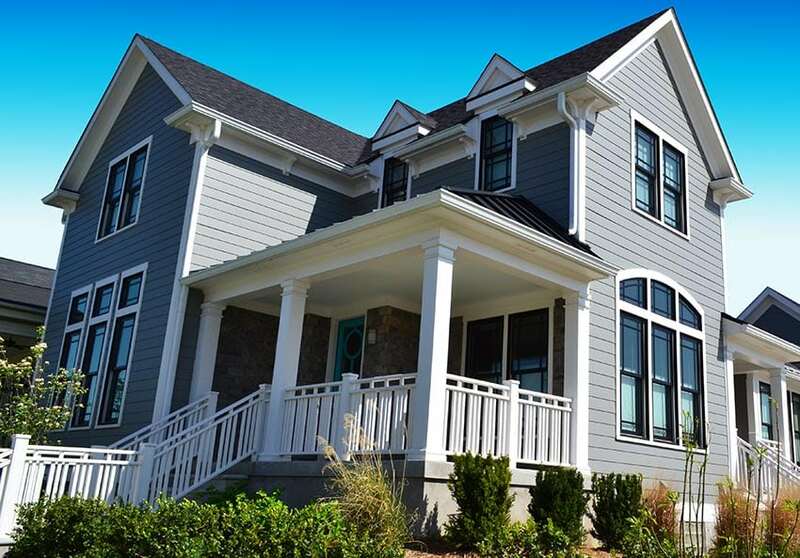 Metal shingles are considered to be the second most popular metal roofing material, next to the standing seam panels. These shingles are typically made up of galvanized steel and aluminum, but are also available in copper and zinc. It is usually coated with a premium type of paint – totaling to seven coats of primer and paint that is baked onto the metal. They have a low profile, which makes walking easy during installation, and comes with a four way interlocking design. They are known to last longer than other types of shingles. Cost wise, metal shingles are less expensive options, with prices at $6 to $8 per square foot, and an average of $600 to $800 per square when fully installed. Metal Tile Sheets – Metal tile sheets are profiled roof sheets that are made up of steel and are given the overall look of a tile roof. Its profile resembles that if a traditional roof tile, but the properties are that of a metal roofing. These sheets are commonly painted or stone coated – made with an aluminum and zinc coating that is finished with an acrylic coating. The finishing also varies as it can also be coated in polyester paint or may be plastic coated. This roofing material is lightweight and easy to install. It requires minimal on site preparation and is faster to build compared to other roofing materials – because unlike roof tiles which are laid individually, metal tile sheets are laid per panel. There are also fewer seams, which means there is a lesser possibility of leaks. Compared to traditional roof tiles, tile metal panels weigh less than half per square foot. For renovation projects or roof replacement, metal tile sheets save time because they can be applied directly over an old roof. Just like most metal roofing materials, metal tile roof sheets are also corrosion resistant and has the ability to withstand harsh weather elements. The typical thickness for metal tile sheet are 0.5 millimeters and the lengths are usually 6 meters. However, custom cut panels can span up to 30 feet in length. There are four types of metal roofing panels namely: vertical seams panels, standing seams panels, modular press formed panels and corrugated panel. Vertical seam panel roofs includes exposed fastener panels and nail hem panels. While stand seam panels include snap lock panels and mechanically seamed panels. 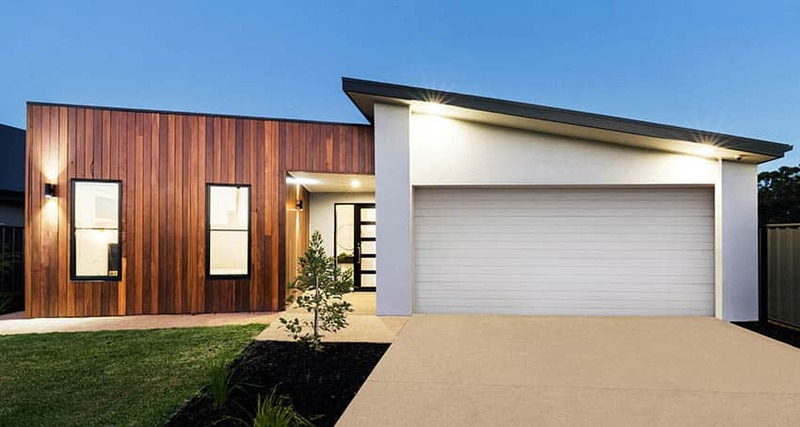 Vertical Seam Panels Roofs – Also known as long span roofing, vertical seam panel roofing are characterized by ribs which run from the eaves to the edge of the roof. This is typically interlocked together and fastened using screws directly to the roof decking. The benefits of using a vertical seam panel roof is that since it is made up of steel, it is relatively strong and durable. It can withstand high winds, and are even proven to survive in hurricanes. Also, it helps reduce electricity bills because it diffuses heat well. In addition to that, its appearance is streamlined and well defined, but does not really contribute much to the resale value of your home. Nail hem panels, on the other hand, are vertical seam panel roofing that gave raised interlocking seams on the edge of the panels. The typical width of this raised seams are 12 to 24 inches, with a height of 0.75 to 1.25 inches. It features a hidden fastening strip which runs at the edge of the vertical seam panels. Screws are used to fasten the roofing material together. However, this type of installation may cause a bit of problems in the future. The panels have the tendency to bow in the middle and may potentially engage in the event of a high wind. Another added concern is that the fasteners need to be precisely installed. They must be fixed at the middle of the slotted holes of the panels, if not the panels will not be able to expand and may cause ripples to appear. This effect is also known as “oil canning”. Standing Seam Panels – Standing seam panels are roof panels that have flanges which are hidden by the next panel to create a seamless look. This is also known as snap lock roofing panels and is commonly installed using hidden fasteners and clips. The clips are fastened to the roof deck to hold the panels in place. This gives the panels room for movement due to thermal changes. This type of vertical seam roof panel comes in different widths, seam heights, thickness and are available in aluminum, steel, zinc or copper. They are commonly used for low pitched roofs and for accent roofs. Mechanically seamed panels are similar to snap lock panels in such a way that both type’s uses clips and concealed fasteners for standing seam panels. The only difference is the method of application. Mechanically seamed panel, as the name suggests, are metal roofing panels which are mechanically fastened next to each other, using hand crimpers or a machine, after they have been placed on the roof. This type of vertical seam panels can be used for very low pitched roofs, but are more common for commercial applications. It is typically made of steel or aluminum. The main difference of standing seam panel from a vertical seam panel is the type of screws used. Vertical seam panels require installation with exposed screws, while standing seam panels make use of concealed fasteners. Modular Press Formed Panels – Modular press formed panels are pre painted panels that resemble different roofing materials. Depending on the paint desired, modular press formed panels usually resemble shingles, slate, clay tiles or wood shakes. Another variant of modular press formed panels make use of an acrylic coating and have stone granules which are embedded to its surface. These are known as pre-painted modular press formed panels and granular coated metal sheets, respectively. This type of roofing may be made up of steel, copper, aluminum, zinc or terne metal. Modular press formed panels are usually interlocked with each other to create shapes which are ready for direct application. Installation is done by using hidden fasteners which are also attached to the roof deck. Modular press formed panels are well known for the reliability in high winds. Corrugated Panels – Corrugated panel roofs have the signature shape of metal roofing. The ridges and grooves in the metal sheets reinforces its strength. This is also the key to its durability. Although lightweight, corrugated roofing panels are guaranteed to withstand beating from all sorts of weather. The typical lifespan of this type of roofing can take up to 100 years. 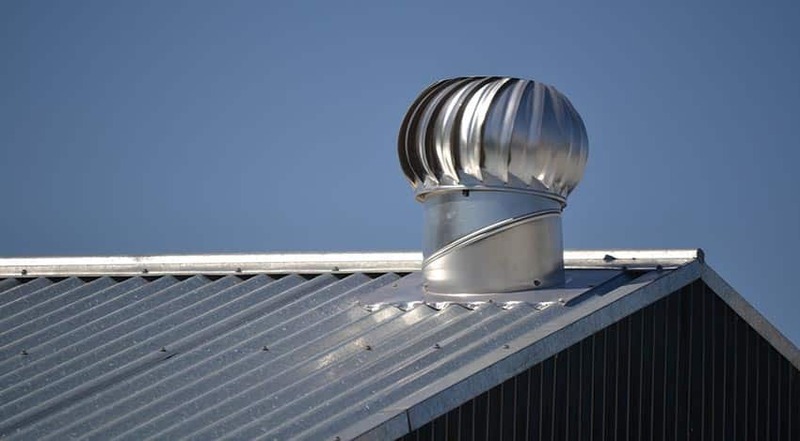 The most common materials used for corrugated roof panels are aluminum, steel and copper. Corrugated aluminum roofing is the top choice because of its quality, value for money, and resistance to corrosion. Corrugated steel roofing, on the other hand, is more expensive, and usually comes in a standard natural gray color. 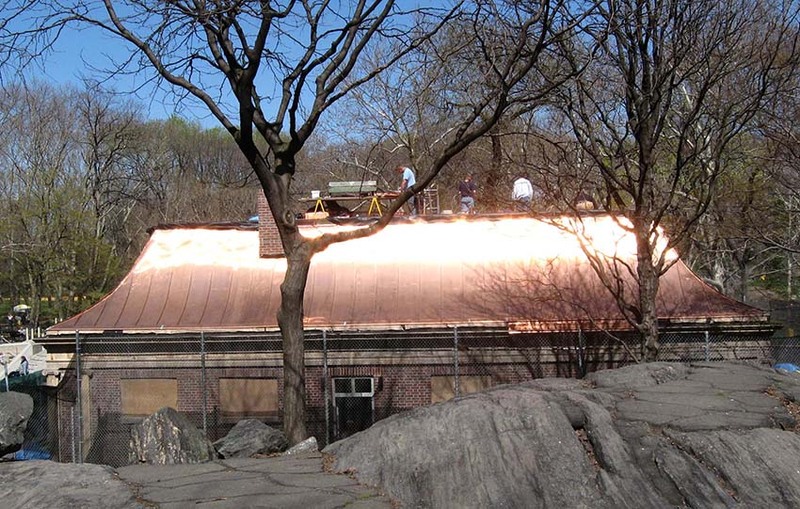 Corrugated copper roofing is naturally resistant to rust, but is also expensive. All of these types are proven to be weather resistant and durable. Bonus: Alloy Roofing – Generally speaking, alloy roofing is any type of roofing material that combine two or more metallic elements to provide resistance to corrosion. Based on the definition, this includes, galvanized steel ( steel plus zinc), galvalume steel (aluminum plus zinc), stainless steel ( iron, chrome plus alloys), and terne metal (metal covered with a thin sheet of lead and tin). There are different types of roof shapes, each with its pros and cons. Here we explore these types so it is easier for you to determine which one works best. The gable roof is the most common type of roof. Indeed, this is the type of roof we as children drew on top of our houses. It is also known as pitched or peaked roof. It has two slopes on each side, similar to a triangle shape. This is the most popular type of roof in houses worldwide. It is inexpensive, flexible in design, and weather-resistant. 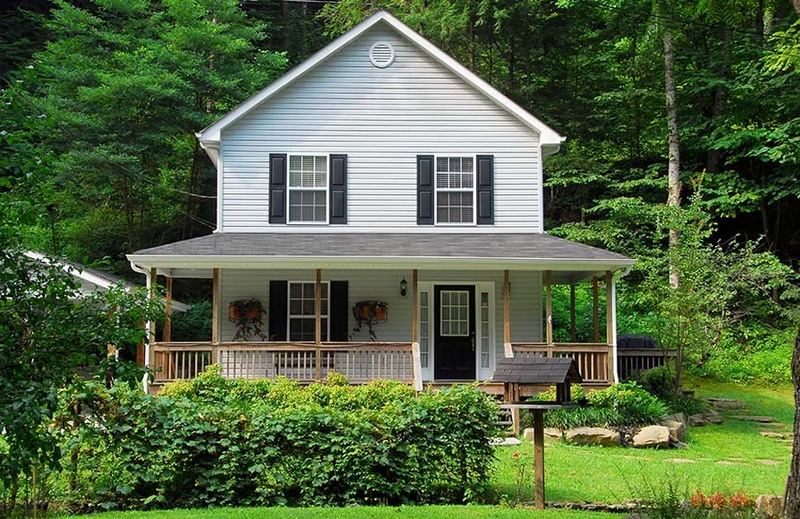 The best thing about gable roofs is that the elements slide down to the ground from the top. Elements like rain and snow easily slide down to the ground so there is no build up on top. There is no need to shovel down anything on the roof. Although gable roofs are great for rain and snow, it is not ideal for hurricanes and windy areas. There is a possibility of the roof collapsing if the frames are not constructed with sufficient support. High winds can also cause the roof to be lifted up and be uprooted from the structure itself. Another advantage of a gable roof is its simplicity. This basic design makes construction easier, making it less expensive to build compared to other roof shapes. The spacious area beneath it also makes way for an attic. Aside from that, ventilation is also enhanced within the house. Often, houses have porches that have a distinct roof. An open gable roof is a common type used for porches. The open gable roof has no ceiling, thus the term open. This design is also used for patios. This can also be used for other rooms in the house, but extra structures must be in place to hold the weight of the roof. This type of gable has a triangular extension at each end of the house. The roof section is boxed at the end. It has no rafters left hanging on the sides. Due to its design, the drainage system is easy and no standing water is left. It is highly pitched so there is a large space for an attic. This also means that air ventilation is good because there is enough space for the air to move around. It can easily be installed in a day. Because it is a gable roof, it is still considered risky in windy areas. This type of gable is a basic pitched roof. It has two panels that are of equal size that meet at a ridge in the middle of the structure. The triangle section can be left open (which is an open gable) or it can be closed (which is a boxed gable). A cross gable has two or more gable roof lines that intersect at an angle. In most cases, the two ridges are placed perpendicular to each other. Structures with this roof have a more complex layout. Usually, in a cross gable roof, there are separate wings. One may have the garage, and the other side is the porch. Just like the name, this type of roof is completely flat and has no pitch. There is a small pitch for the water to enter the drainage system though. This type of roof is commonly used on commercial buildings, industrial buildings, and some residential houses. The construction of this roof is extremely simple. Since flat roofs are also easy to construct, it requires less materials to build, thus resulting to savings in construction costs. Flat roofs are fairly cheap – initial installation and upkeep are both affordable. A flat roof can also be used in a variety of ways- this by far is the greatest benefit that it offers. The flat roof provides an extra living space such as a rooftop deck, perfect home for solar panels and storage for heating or cooling units. It can be used to create a refreshing roof garden, allowing the homeowner to maximize every inch of space in the house. However, flat roofs are high maintenance because it needs to be cleaned up regularly. Although it may be more accessible than pitched roofs, they do not drain water off easily. There is a tendency of water build up, thus resulting to possible leaks and damages in the future if not properly taken care of. It is also not advisable to use flat roofs in places where heavy snow or rainfall is experienced. 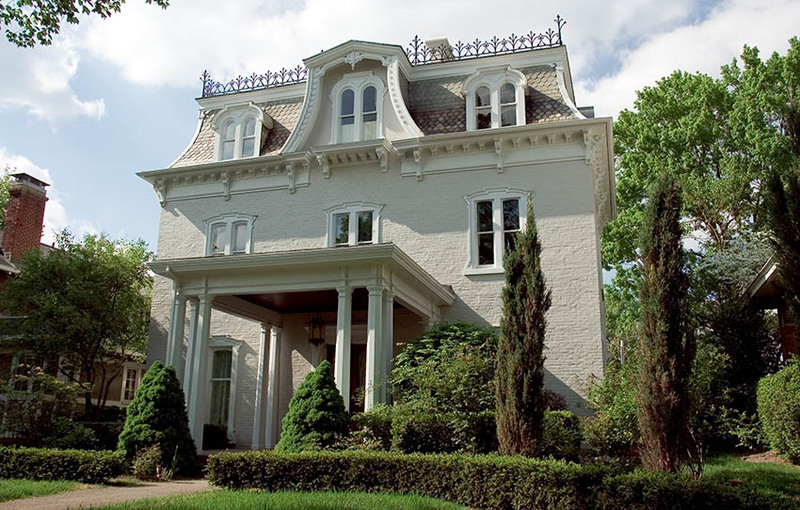 A mansard is also known as a French roof or a curb roof. 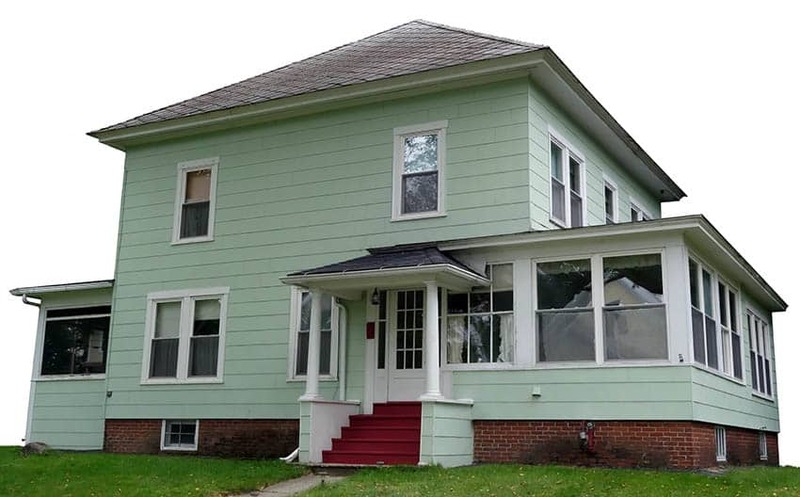 It has four sides that has a double slope on each side which meets a low-pitched roof. The mansard roof creates maximum space in the attic which was thought to serve as shelter against taxes and the rain. It was popularized by French architect Francois Marsart, but he was not titled as the inventor of this design. One of the benefits of having a mansard roof is its suitability to future additions in the house. Future additions are also cheaper because it can be easily accommodated by the existing structure. Since the first slope of the mansard roof is steep, this can act as a wall i ever you decide on extending your home. The major drawback of mansard roofs is its cost. It is considered to be more expensive than other roof types primarily because it’s complex to build, thus resulting to more material and labor costs. This also takes longer to install compared to a normal gable roof. Mansard roofs are also not ideal for areas which are prone to heavy rainfall and snow because the flatter portion of the roof does not allow easy runoff. This flatter portion of a mansard roof also has the tendency to collect debris in the long run, thus requiring more maintenance. As the name suggests, this type of roof is a combination of different types of roof in one structure. The combinations are endless, it can be a combination of a hip roof and gable roof, with a skillion roof over the porch. This gives a more pleasing and interesting look to a structure. The main benefit that a combination roof gives is the interesting visual appeal that it gives to houses. However, the cost becomes higher as the design gets more complicated. There is a higher chance of leak and damage where the roofs meet if not constructed carefully. A hip roof has four sloping sides that are equal in size. They come together at the top to form a ridge. It is considered a practical roof and often used in smaller structures. It is also more stable than the gable roof because of the inward slope on all four sides. It looks very similar to a pyramid roof. The biggest advantage that a hip roof presents is its effective water drainage. Since it has four sloping sides, water runs off easily in the event of rain, making it also highly suitable for areas which experience heavy snowfall. Also, its design makes it more stable, which means it can withstand strong winds too. The hip roof requires more material and labor costs compared to a basic gable roof. Because there are also more seams in a hip roof, there are more chances of leaks, thus requiring extra upkeep to make sure that further damages are prevented. Gambrel roofs are also called barn roofs or a Dutch roof. Similar to a mansard roof, a gambrel is a two-sided roof with two slopes on each side whereas the mansard has four sides. This design is often seen in barns, farm houses, log cabins, Dutch colonial and Gregorian houses. This roof style presents a casual yet stylish look. The expansive layout of a gambrel roof creates extra space for an attic. It is simple to frame out and the construction requires fewer materials so it is less expensive than a mansard. However, this type of roof is not recommended for areas with heavy snowfall or heavy winds as the roof may collapse under extreme pressure. Gambrel roofs also require regular maintenance which includes repainting, to make them more durable. Also known as a shed roof or lean-to, this roof is recognizable by its single sloping roof. It is also referred to as a half-pitched roof, or an angled flat roof. It has no gables, ridges or valleys. It is often used for additions in the house like a porch, shed, garage or storages. Modern homes are now also using this type of roof. A skillion roof is one of the cheapest types of roofs to build. Because of its simple design, it is easy to assemble and can be a DIY project. It does not require any special material and can help protect the house from too much sunlight. However, it may cause in lower ceilings and it is not suitable for windy areas. It structure may also cause problems in terms of drainage. 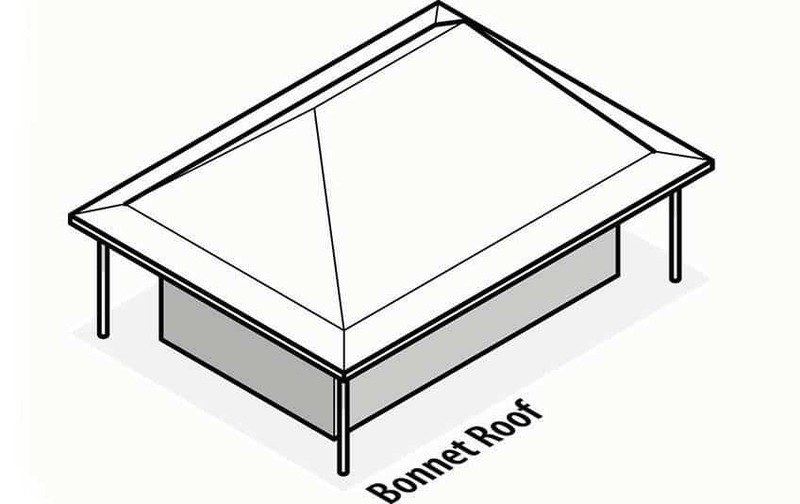 A bonnet roof is the reverse of the mansard or a modified version of the hip roof. It has double slopes wherein the lower slope is set at a smaller angle compared with the upper slope. The lower slope hangs over the house which is often used as the porch, thus making it also known as a “kicked eave roof”. Houses in Louisiana and Mississippi are commonly seen with the bonnet roof. 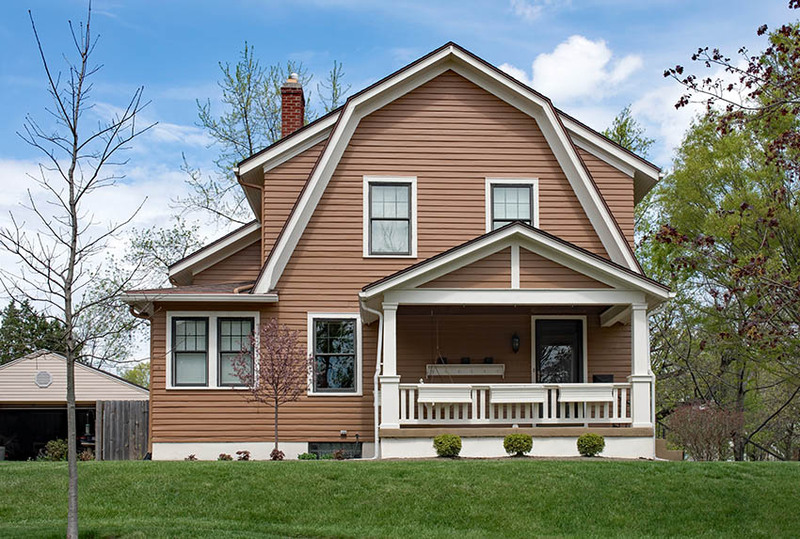 It is more durable that the gable because the slopes protect the porch and the walls from water damage. Snow or rainfall easily drains off following the natural pull of gravity down the slope. It also has a high resistance against strong winds. However, the design is more challenging to build, requires more materials, making it more costly compared to simpler roofs. This type of roof is actually a type of hip roof. The design resembles a cone, where there are no vertical sides. The four sides join together to form a point at the top. This roof is usually placed on smaller structures like bungalows and cabins. They are also seen on pool houses, garages and storage structures. The pyramid roof is perfect for high wind and hurricane-prone areas because it is wind-resistant. This design is more expensive compared to other types of roof because of its complex design. Pyramid roofs are known for their natural insulation properties, wind resistance and effective drainage system. The eaves of a pyramid roof provides shade to all four sides of the house, this keeps it cool during hot summer months thus saving energy and electricity costs. The equal slope on each side of a pyramid roof also makes it more resistant to winds, compared to a traditional gable roof. It can also withstand storms and harsh weather elements. Lastly, it has an effective drainage system because there are no flat areas where the water can sit or build up. This also reduces the growth of molds and mildew. This type of roof tends to cost more compared to a traditional gable roof because of the amount of material it requires. Additional labor costs are also a concern for some homeowners, making them inappropriate for those who operate under a strict budget. There is also limited area to construct an attic, putting restrictions to smaller houses which need every inch of its space to be maximized. The Jerkinhead roof is a combination of the gable and the hip roof. Characterized by two large sides and two small sides. It is also known as a clipped gable or English hip roof and is sometimes called as a Dutch hip roof. This type of roof is a practical and attractive choice. It lends a vintage flair to houses and is perfect for historic, old world, Victorian and traditional themed residences. It is also prevalent in bungalows and cottage inspired houses. Aside from the added visual aesthetics, a jerkinhead roof also offers great stability. It is also wind-resistant, simple, and easy to dress up. However, a jerkinhead roof does not provide a lot of storage space compared to the gable. It also requires additional work but will not cause a significant increase in construction costs. 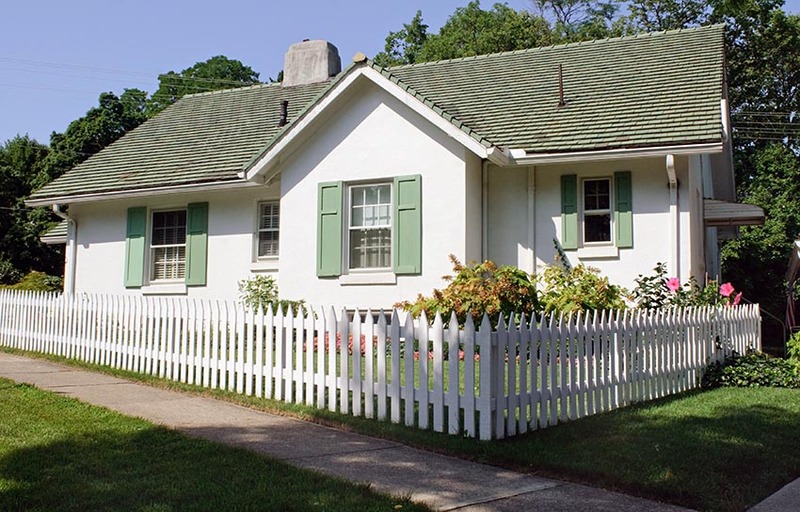 Often seen in Colonial inspired houses and in traditional New England homes, the saltbox roof is a long pitched roof which slopes down the back. It has an asymmetrical design with one sloping side and then a sort of lean-to on one side. Nowadays, this type of roof is typically used for sheds and garages. It simple yet attractive design works for both rustic and modern architectural styles. This roof is designed to provide extra room but with using less material. This type of roof is great for areas with heavy rainfall because the sloping side provides good drainage. It has a more durable and stable design compared to a gable roof. 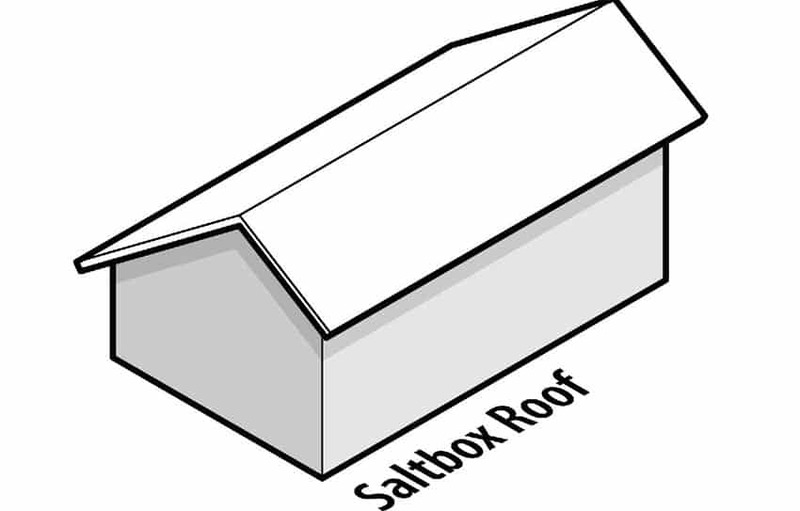 In terms of construction, a saltbox roof has a more complicated design so there is still a possibility of increased cost. The pitch must be designed carefully to make sure that it matches the rear wall of the structure. The sloping roof is used to describe any roof that is slightly or completely tilted. This type of roof is low maintenance because debris does not accumulate at the top. The water easily moves downwards following the slopes. A sloping roof is often used for a modern home style. The butterfly roof has a V shape that appears like two wings ready for flight. It is also called a V roof or a London roof. 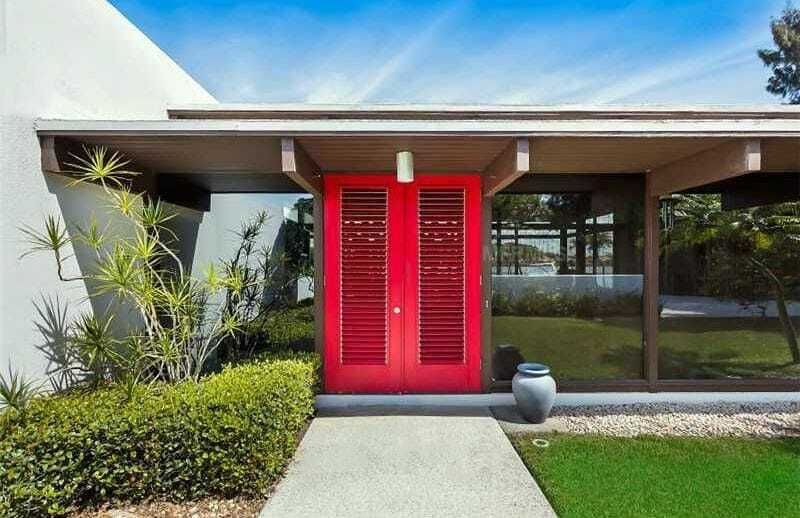 This roof is associated with mid-century modern architecture. It is also popular with eco-friendly and tropical homes as the upper angle can be equipped with large windows which reduces costs in terms of lighting and heat. Homeowners also love the interesting design of butterfly roofs which makes houses appear bigger. 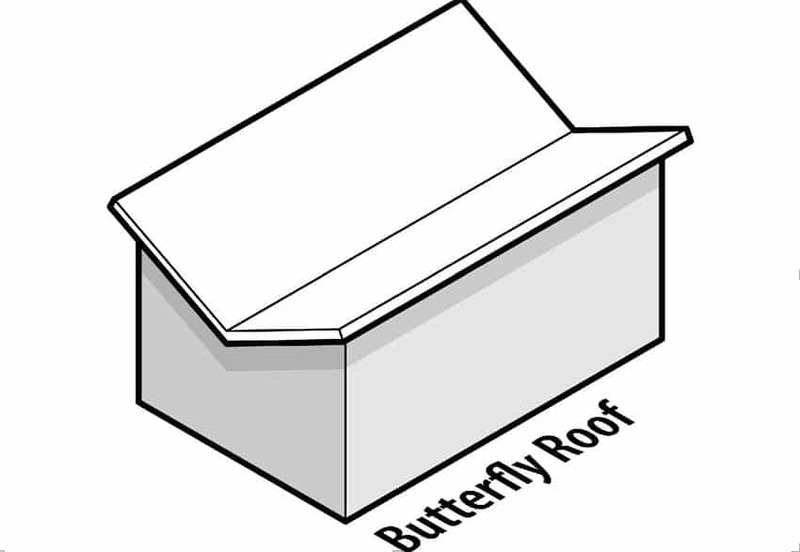 The main purpose of the butterfly roof is to collect water at the center of the roof. This water is usually diverted to a holding tank for other uses like watering plants, for showering or even for drinking. However this process requires a special infrastructure in order to work effectively. If not meant to collect water, a butterfly roof still performs well in draining water because it flows freely, resulting to reduced risks of mold and mildew formation. Butterfly roofs also have high wind tolerance and can resists damages which are caused by harsh weather elements. This is a complicated design, which takes longer to build, thus it is more expensive compared to other designs. While it may drain off water easily, it also has the tendency to collect falling debris and snow. With such, additional maintenance and regular upkeep is required. The dome roof is a half spherical shaped roof. This type of roof is often seen in religious structures such as churches, mosques and tombs. It has a long architectural history dating back to early Mesopotamia, Persian, Chinese, Egyptian, and Roman periods. Nowadays, a dome roof is popularly used in sports centers, legislative buildings, and functional structures. 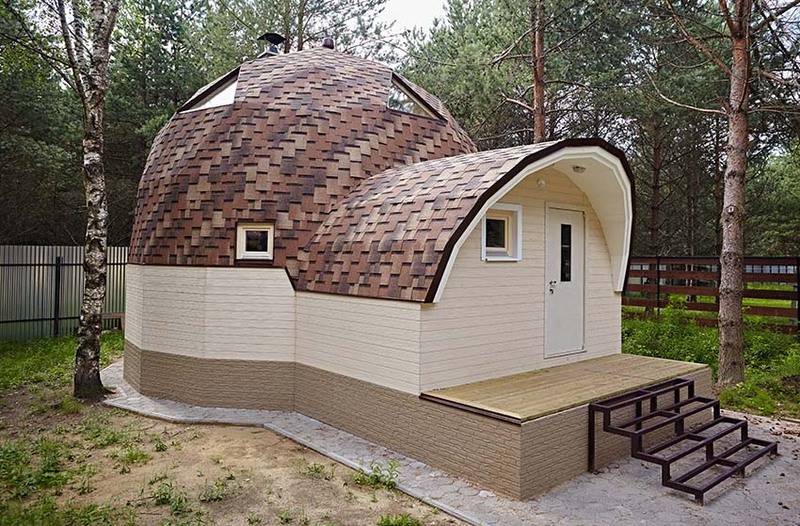 Additionally a dome style roof is used in a geodesic dome kit house which are commonly found on the West Coast of the U.S. A dome roof can be used to cover an entire home, or just parts of it, like gazebos or cupolas. This type of roofing is provides not only unique aesthetics but practical functions as well. It can stand high winds and requires little maintenance. It is also durable and are weather resistant, with its quality depending primarily on the material used to construct it. Wood is usually used to create this type of roof, however other materials like metal are also advisable because it is low maintenance. Its main disadvantage is its price. Because of its complex design, construction costs may be increased. 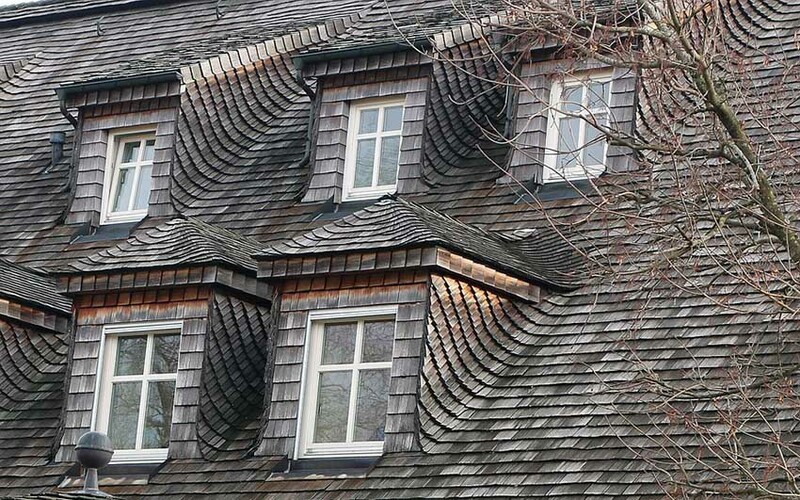 As the name suggests, this roof has a series of ridges just like the teeth of a saw. It is composed of two or more pitched roofs that are parallel to each other and arranged in such a way that the vertical and the sloped surfaces alternate. This type of roof was often seen in industrial buildings such as factories. Now, residential houses also adapted this roof but with fewer ridges usually two to three. Windows are often placed under the roof to allow more natural light to enter the structure. It is also highly suitable for ecofriendly houses which have solar panels or geothermal heating systems. However, the complex design costs more. It also has high maintenance requirements and has a higher chance of leaks during heavy rainfall. This type of roofing is not suited for houses which are located in areas that experience heavy snowfall. 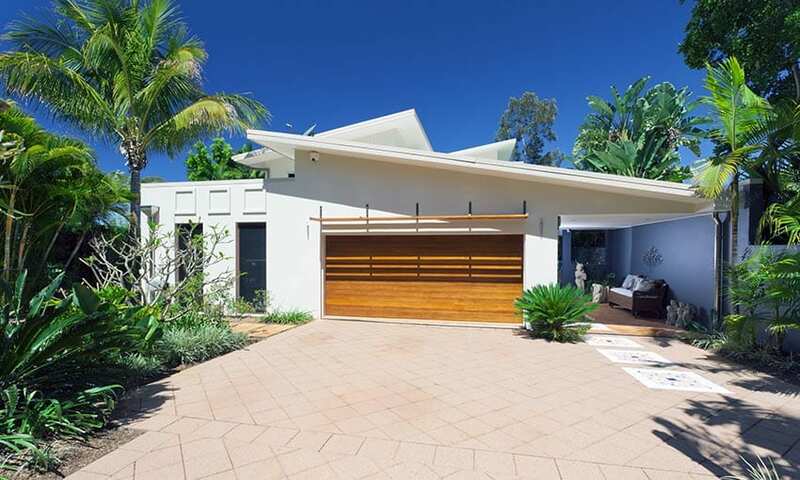 This type of roof is similar to a skillion but with curved planes. Its form can go from a slight curve up to an arch shaped roof. It can be used to cover an entire home or a part of it, like an entryway. 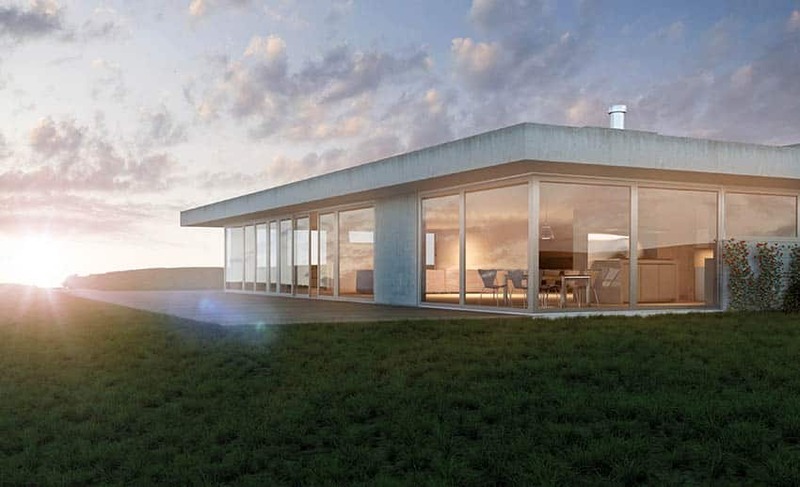 It can also be designed in such a way that it is more adaptable to the existing climate of the location of the house – for locations which are exposed to high winds, a lower slope is more appropriate to be used, while a higher slope can be used for house which receive more rain and snowfall. 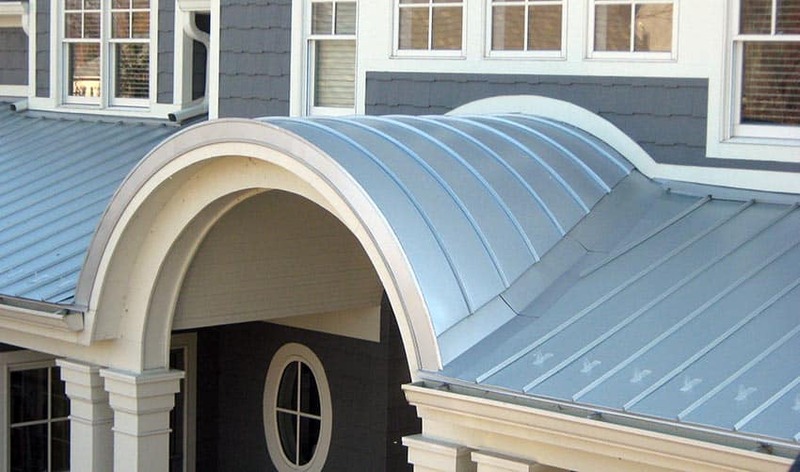 The most common material for curved roofs is metal because it is malleable and can be bent easily. The purpose of this roof is more on the aesthetic rather than the durability. They are more interesting, modern and unique compared to other types of roof. The subtle and graceful shape of a curved roof softens the architectural components of a house. It is usually more expensive to build, depending on the design of the roof. Also, it needs extra care to make sure the water runs down properly to avoid leaks. 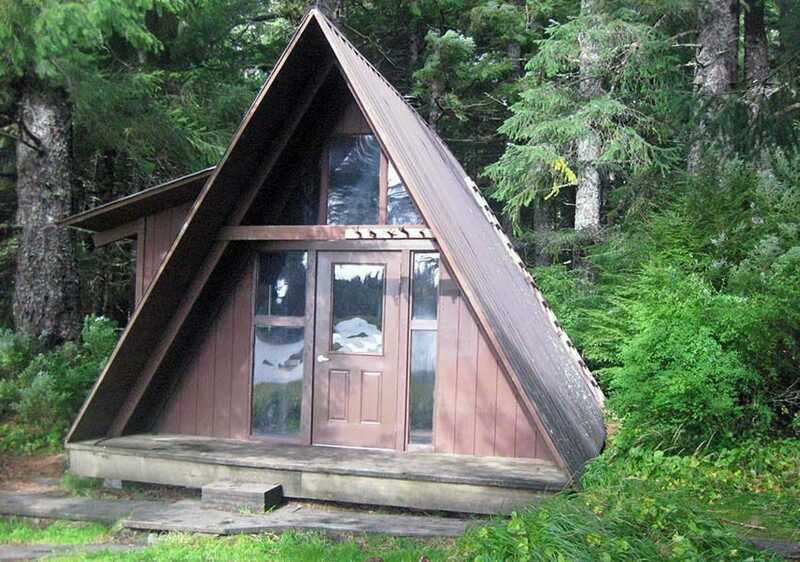 The A-frame roof has a steep triangular roof that looks like a letter “A”, thus the origin of its name. It also resembles a simple tent like structure. This type of roof shape is commonly used for small buildings and features a lot of windows at the facade and rear side of the house. It gained its popularity during the 50’sto 70’s era. Aside from providing natural light and ventilation, the A frame roof is also very durable. This roof style is highly suitable for cabins in areas that receive a good amount of snowfall. This style allows for snow to easily fall off the roof without piling up and causing damage to the structure. It is also efficient in warm areas as it keeps directs the warm air upwards, keeping the house cool all day. It simple design makes it easy to construct, with some suppliers offering complete kits which are ready for assembly. However, the major drawback of an A framed roof is the wasted space. This type of roofing may limit the living space within the house as it is more applicable for single story structures. There are also less options for layout and the interior walls of the house are sloped, which can make the space feel too cramped. The green roof is becoming increasingly popular among residences. This type of roof is partially or completely covered in vegetation. 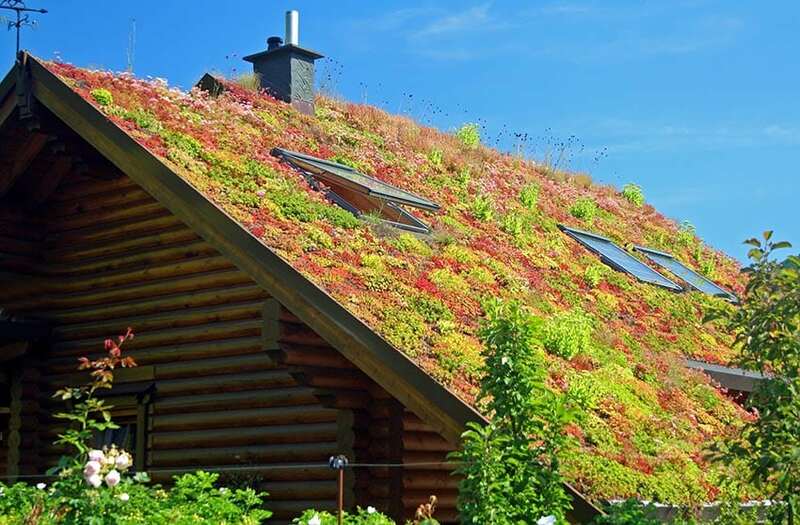 Among the types of roof, a green roof is the most environmentally friendly and energy efficient. A green roof provides a number of benefits. It provides natural insulation by keeping the temperature of the house cool, consequently resulting to savings in electricity costs. It also has an effective drainage system by absorbing rainwater. A green roof also increases the lifespan of roofs by two to three times, extending it for up to decades. It is also beneficial to one’s health as it filters out pollutants in the air and rainwater. In addition to that, it creates a habitat for wildlife and helps the overall environment. It is also a great camouflage for structures built in the forest. However, there are still some negative features to this type of roofing. First is its weight, green roofs are heavier compared to other roofing materials. Because of this, green roofs also pose a greater expense compared to traditional roof, as it needs an extra support system to carry the additional load of plants. In the long run, this investment still proves to be worth it because of the excellent benefits that a green roof offers. Maintenance is also more laborious, demanding for consistent upkeep like watering, feeding, weeding and fertilizing, to make sure that the plants thrive well in its environment. Building this type of roof of needs strict compliance with the local government.